Tripurari Purnima is the full moon day in the Kartik month in a traditional Hindu calendar. Tripuri Purnima 2019 date is November 12. The popular belief is that to restore Dharma, Lord Shiva killed demon Tripurasura and destroyed the Tripuri or three cities built by him on the day. The day is also popularly known as Kartik Poornima. Tripurari Purnima also marks the end of the month long Kartik Snan and vrat in North India. The day also marks the end of the Kartik Brata in Orissa. The Tulsi Vivah rituals also end on the day. Tripurari Purnima day is also observed as Dev Diwali in some regions. It is believed to be the Diwali of Devas as Lord Shiva liberated from the clutches of the oppressive rule of Demon Tripurasura. The puja is performed when there is Nishita Kaal. This means that for the puja to be performed Purnima should be present at midnight. Legend has it that a powerful demon named Tripuri or Tripurasura built three impregnable cities of gold, silver and iron with the blessing of Lord Shiva. The demon became so powerful and his inflated ego knew no bounds and started attacking and tormenting humans and demigods (devas). Brahma and Vishnu failed to contain Tripurasura who was armed with several boons from Shiva. 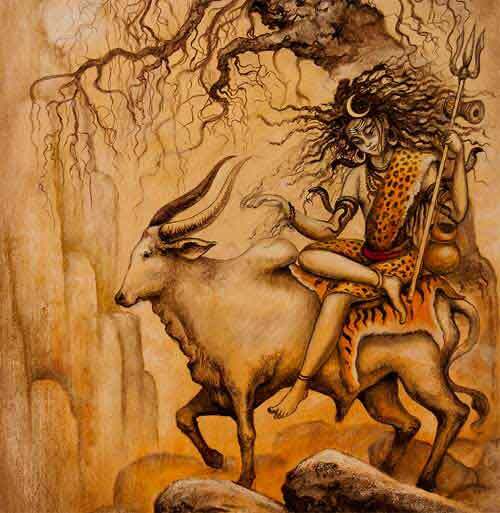 Finally, the task of annihilating the demon fell on Lord Shiva and after three days of fight, Lord Shiva killed Tripurasura and destroyed the three cities – Tripuri. This great victory happened on the full moon day in Kartik month and therefore the day is celebrated as Tripuri Poornima. Thousands of lamps are lit on miniature boats and it floats on the Valvonti River at Sankhalim village in North Goa on Tripurari Purnima. Tripurari Purnima is observed as a state festival in Goa. The day marks the official end of the Diwali festival. As per local tradition followed in Goa, Lord Krishna defeated and killed the Demon Tripur on the day of Kartik Purnima. People celebrated Krishna's victory and the end of demons evil reign by releasing lamps in the river. Today Tripurari Purnima is famous for a competition in making miniature models of boats and ships. The main ship building competition is held at Vithalapur in Sanquelim near the Pundalik temple. Tripurari Purnima celebrations at Vithalapur in Sanquelim start in the evening as the palanquin of Lord Vitthal is brought amidst religious chanting to the accompaniment of traditional music. The palanquin is then kept on the banks of the river where it remains until the end of the boat competition. Miniature boats all lighted up and moving on the river is a magnificent sight to watch.